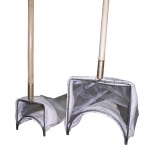 Snag Nets There are 6 products. Pliers For Installing Net Ring. 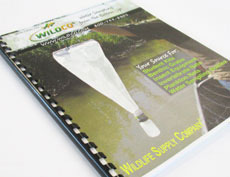 Pliers to install net clips on Wildco Dip Nets.•These specialized pliers have a slot on the clamp which allow clips to be attached to Wildco nets and frames with ease. 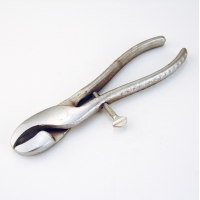 Normal pliers may cause clips to be bent irregularly and not function to their optimal standard. Our handles can't be beat. Can't break, either. 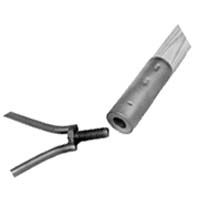 A hefty 32 mm (1 1/4" in diameter, constructed of finished hardwood and corrosion resistant metals, they're made for underwater work and are as professional as our nets. In 3 lengths, with female attachments. Extra clips and pliers for attaching clips are recommended. Net Clips, Bag Of 100. 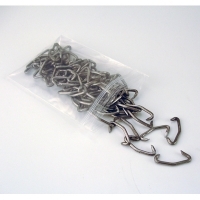 Replacement net clips for Wildco Dip Nets - Pack of 100.